As an upscale midsized car, the Lexus ES ranks rather high among the 2014 luxury cars. Based on both safety and reliability, this high quality vehicle has earned some rather noteworthy remarks. Those who have test driven the 2014 Lexus ES have experienced a high level of comfort. You will find that these cars were not designed for the thrill seeker, however there are some new elements you can look forward to for 2014 and they are featured in the ES model. This year's Lexus ES model boasts several optional perks and amenities for 2014. You will be wowed by the upgraded surround sound stereo system. The ES is equipped with parking sensors, a panoramic moonroof, and a rear power sunshade. You will enjoy the convenience of a back-up camera, as well as a blind spot monitoring system. This system consists of a rear cross traffic alert, which you will appreciate during busy rush hours. You will love the ease of other extras that are inclusive of voice command navigation and lane departure alerts. Both the ES 300h and the ES 350 are styled in a more thicker and muscular fashion. 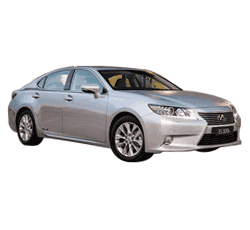 These Lexus ES models are a formidable replacments for the "L-finesse" sedan line. The interior stylings of the ES models and hybrids will blow you away with similar themes that mimic the more expensive GS models, such as bamboo trim, which is a signature look. The ES interiors are said to be meticulously crafted and drivers have expressed their delight with the luxurious feel. There are a few cars that rival the 2014 ES models, but Lexus stands strong as a comfort-oriented luxury vehicle. If you sre taking a serious look at the 2014 Lexus ES as your next car purchase, it has some attractive features that offer value, comfort and consistency. 1) The powerful V6 engine boasts a 6-speed automatic transmission. It gets an estimated EPA of 21 mpg in the city and 31 mpg on the highway. This is a most impressive feature compared to most rival vehicles with V6-powered engines for fuel economy. The ES 350 model carries a whopping 268 horsepower to its 3.5 liter V6. 2) The ES promises an incredibly comfortable ride with front seats that are well-insulated and rear seats that provide an ample amount of leg room. The Lexus brand is known for a generous offering of standards, such as, satellite radio, an eight-speaker CD audio system, a HomeLink programmable garage door opener, moon-roof, and a USB/iPod interface. The convenience of Bluetooth phone connectivity is also a standard in this 2014 Lexus ES model. 3) The Lexus brand has maintained an impeccable reputation for reliability beyond measure. 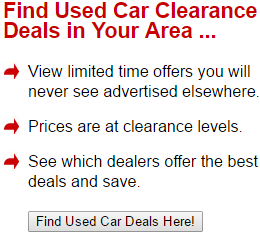 This is evidenced by the resale value that will matter the most when you purchase a luxury car. The ES boasts a rather long list of luxurious perks and handles very well with its modest V6. 4) The advanced safety features of the ES are of the utmost importance to the road and safety-conscious. A mobile-app suite called "Enform" is there in case of an emergency or road a hazard. You will also find that even the basic Lexus model is equipped with 10 airbags. 5) Faux-leather has been the Lexus standard, but if you have deep pockets, real leather seats can fashioned to your liking. For pricier tastes, the new top of the line "semi-aniline" interior is now available. 6) The ES 350 5-passenger, 4-door model is one of Lexus' latest models to get a performance make-over. A little more excitement has been thrown in, with a menacing front grill, angular LED headlights and a sharply raked rear window that adds a bit of drama. 7) The 2014 Lexus ES has long overcome its comparison with the Toyota Camry by crafting its own identity. The upgraded model has its own corporate stylings that no longer lend a platform to the Camry critique. 8) The ES exterior is clad with a more sinister appearance, but also maintaining the luxury, style and grace known from the Lexus brand. This is evident in the cabin design which stands out among the rest. 9) Conveniently change the mode of the ES 350 by utilizing the drive mode selector. This feature allows for 3 driving modes which include Normal, Eco and Sport. With the turn of the dial, the dash color changes and causes optimization of the engine performance, climate control functions and the throttle response. The result is optimal fuel economy. If you really want the ES 350 to come alive, just change the dial to Sport! 10) The new ES models come with a variety of opulent packages that are inclusive of luxury and technological features. The Premium Package boasts maplewood interior trim and a power tilt-telescoping steering wheel, while the Luxury Package has heated and cooled bucket seats and HID headlights. The Luxury Package with Additional Options comes highly recommended with all the perks of the previous packages, but with a tech feature that allows for SmartPhone app integration with platforms, such as Pandora Web Radio, Facebook and Bing. While a quality brand like the 2014 Lexus ES is considered a very good buy, you may want to be made aware of a few of its shortcomings. 1) It has been noted by some reviewers that the controller that operates the navigation and infotainment systems is not user-friendly. The entertainment and audio functions cannot be accessed while the vehicle is moving. This may not be a deal-breaker, but could prove somewhat annoying. 2) The amenities and interior room of the ES 350 is considered pretty standard against rival cars that include the Chrysler 300, Buick LaCrosse, Hyundai Genesis and the Acura TL. They are less costly and bear the same equipment. The Lexux ES, however, has a higher resale value. 3) The backup camera has a major flaw in that when you first start the car, some irrelevant popup messages appear on the camera's digital screen. These messages can block your view when your ready to back out of your garage or parking space. You must wait for the camera screen to clear so that you can see how to back up in critical situations. 4) The Lexus ES model does not have a fold down rear seat. The trunk is only accessible through a small hatch in the rear seat. Small slender items can be placed in the trunk from the rear seat, but larger items will have to be placed from the outside. Again, not a deal-breaker. As the owner of a the 2014 Lexus ES 350, you can bask in the luxurious amenities that this brand consistently delivers. This vehicle exudes comfort with seats that hug you after a lengthy drive and doors that boast a smug and quiet closure. These are tangible premiums to be enjoyed.